You work for a nonprofit company which offers help to children in violent countries. You're explaining the company's mission to a person who you're trying to get a donation from. Child soldiers in these countries have been forced to witness and carry out extreme acts of violence. They forced me to sit there and watch it. They forced everyone at gunpoint to hand over their money, phones, and other valuables. You can also "force" yourself to do something. I forced myself to sit there in front of the computer and keep working on it until it was done. This means to use your willpower to make yourself do something that you don't really want to do. 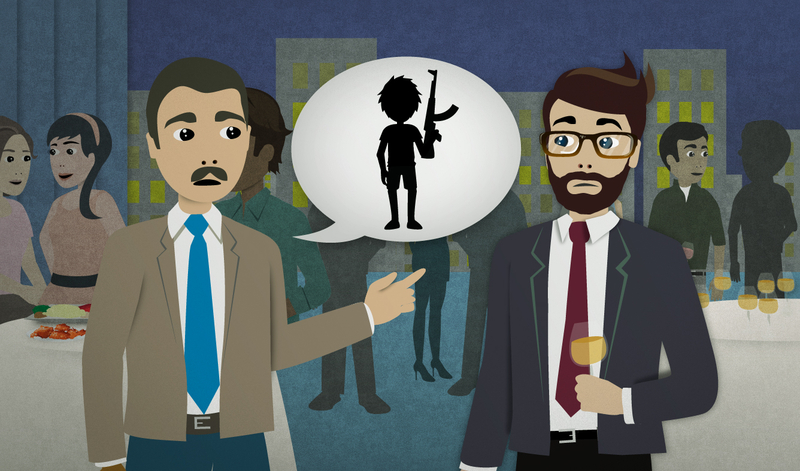 A child who becomes part of an army or terrorist group can be called a "child soldier". My cousin witnessed the explosion first-hand. When I was staying at the farm I got to witness the birth of a baby horse. They gave us an order, and I intend to carry it out. Police officials have not yet determined who carried out the attack. "Violence" means doing things that hurt people. Violence is not the answer to our problems. An "extreme act of violence" usually means killing people. Human beings are capable of extreme acts of violence, but they're also capable of deep compassion and forgiveness.